Positive psychology coaches often work with strengths and the experience of "flow", a term coined by positive psychologist, Mihaly Csikszentmihalyi. 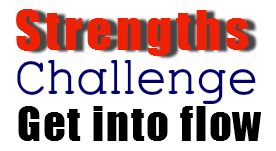 A sense of flow occurs when we use our strengths in challenging situations. 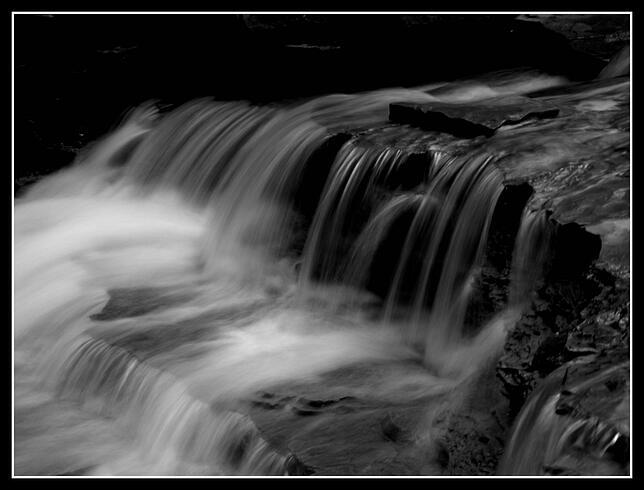 Within flow, we experience engagement, enjoyment and afterward we wonder, "Where did the time go?" That old saying, "Time flies when you're having fun." is about flow. Read how flow shows up in a coaching session here. So what are strengths? Well, if you grew up in the 20th Century, you probably are well aware of your weakness, because people back then assumed that was the road to success. For instance, I have ADD, so one of my weaknesses is distractibility. My teachers used to scold me for not paying attention. However, ADD has a few advantages that are genuine strengths. They include flexibility, openness, and the ability to notice things that others miss. The 21st Century shift toward strengths is opening up whole new worlds for people. It certainly did for me! Our strengths are our innate abilities. They are things that we do so easily that we take them for granted and may even assume everyone possesses the same talents we have. But they don't. We each are endowed with a unique set of strengths and weaknesses that require a individual path to success. It's long been assumed that working on our weaknesses is the road to success. That can work, but it's hard, slow going, and often unsatisfying. When we focus more on our strengths, improvement tends to be quick, feels easy, is ever so much more fun, and is uniquely ours. Positive psychology coaches focus on helping clients become aware of their strengths and leverage them for great results. We don't necessarily ignore weaknesses, because sometimes improvement in those areas can be helpful, but strengths get center-stage attention. Much more empowering! Would you like to discover your strengths? UPenn has several assessments you can take for free. Learn more about strengths and find a link to their web page by clicking the button below. Would you like to transform your life or career by leveraging your strengths for more fun and success? Find credentialed positive psychology coaches here.